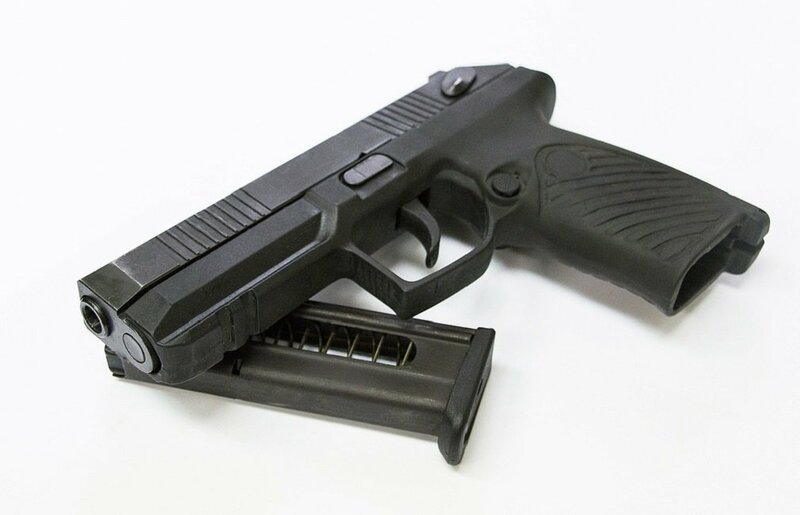 MOSCOW, the Russian Federation (BulgarianMilitary.com) – The subsidiary of Russia’s Rostec State Corporation, the firearms manufacturer TsNIITochMash design bureau informed about its plans to release a version of the newest Udav handgun that to sell to the civilian market. According to the press service of Rostec, the civilian Udav will be a sports version for professional athletes, learned BulgarianMilitary.com. Yesterday (24th January), the Russian arms manufacturer revealed its plans to the media to make a civil variant of Udav that features parameters competitive with those of weapons by famous international firearms manufacturers, such as Colt, Glock, Walther, Heckler&Koch, Browning, CZ and other foreign counterparts. The press service adds that this version “will be adjusted to the requirements of professional athletes,” but will retain the basic characteristics of the Russian armed forces’ prospective gun, such as the accuracy, firepower, ergonomic design and small weight. An export version of the civilian Udav to be made, is also part of the plans of the Russian corporation. The statement of Rostec’s press service quotes the industrial director of the corporation Sergei Abramov, saying that Udav’s advanced composite material ensures the stable performance of the handgun at temperatures ranging from 50 to -70⁰C. The design aims to be equally convenient for right-handed and left-handed users, and provides the shooter with the capability to actually see and feel the presence of cartridge in the chamber. Udav has a high magazine capacity of 18 rounds, which is ten more than that of the Makarov pistol. TsNIITochMash has designed two special cartridges of sub-sonic and enhanced penetrability for the purpose Udav to be capable to fire 9 mm by 21 mm tracer, armor-piercing and expanding ammunition. The Russian-designed and manufactured self-loading handgun Udav has passed government certification tests and now is authorized for official use. The manufacturer is currently working on the three versions planned for mass production – for the army, commando and crack forces and the civilian market.